Fall is officially here. My house and porch have been decorated for a while, but the air is finally cooling down making it actually feel like fall. A little less humidity means jeans and light sweaters are making their way back into my wardrobe rotation. One of my favorite things about early fall, other than cozy clothes, is apples. Not only are they amazing to pick, eat and bake with, they look so pretty in a bowl on my kitchen table. 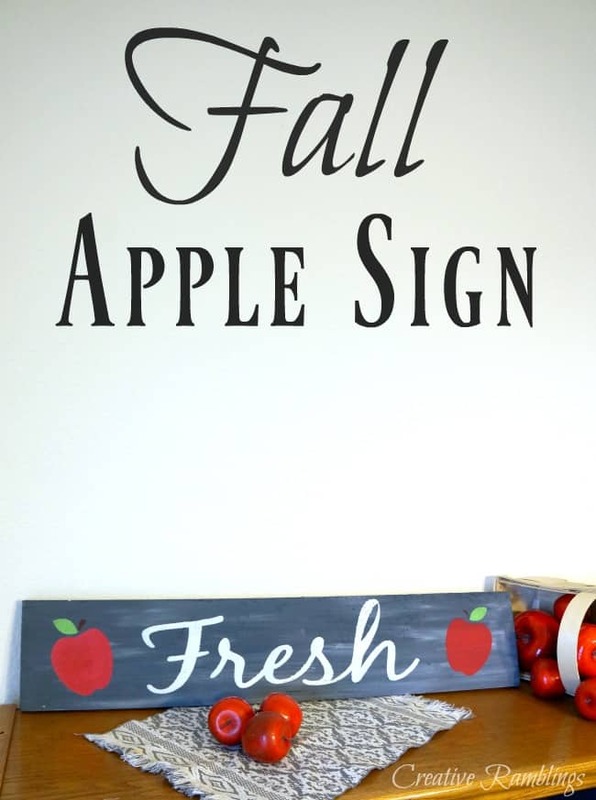 I decorated a little corner of my kitchen this month with apples including a fabulous fall wood apple sign. It’s bright and cheery while still making my room feel cozy for the season. Building and painting a wood sign is really easy, in fact it’s one of my favorite projects these days. 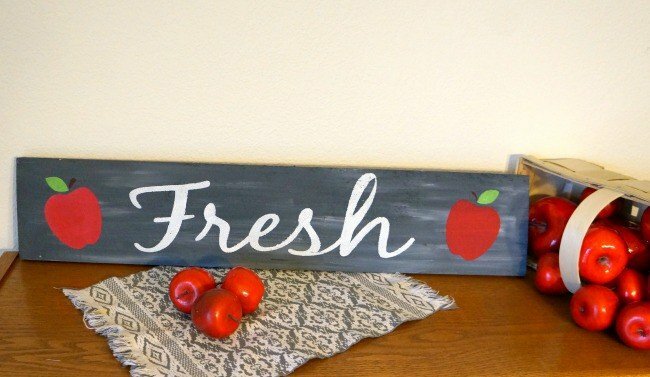 For this sign I grabbed a piece of scrap wood, paint and stencils to create this apple sign in no time. This post contains affiliate links. View my full disclosure policy here. I mixed up a dark gray paint and covered the board. After a few minutes I went back over the gray with a little white to add streaks and give the sign a slightly distressed look. While the paint was drying I created a stencil using my Silhouette. I used a stock font and grabbed an apple image from the Silhouette store. I sized them to fit my sign then cut the word and shapes out of Con-Tact paper. Contact paper stencils are my go to. They transfer to wood easily and create a tight seal for crisp lines. 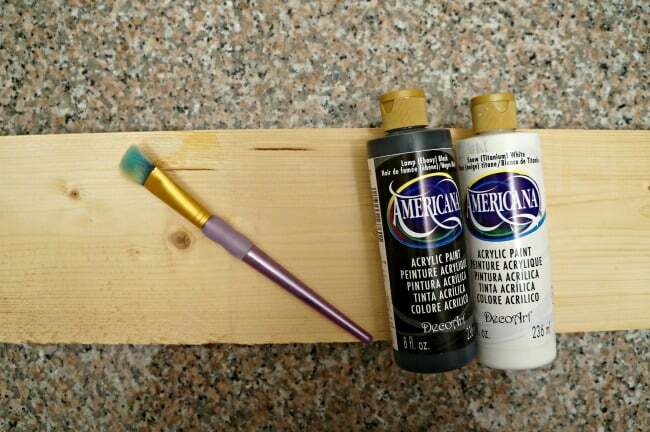 They also come off the wood with ease and do not leave a residue or pull up paint. 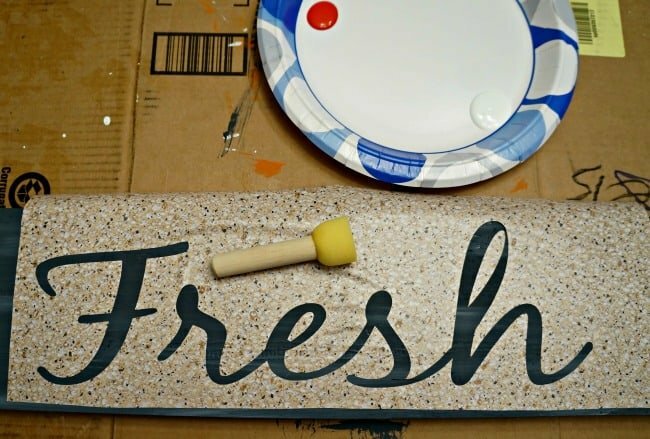 I painted the word Fresh first using the sponge brush and an up and down motion. Once that was dry I added the apples to either side. My little corner of apples is so cute. Actually over the last few days I’ve add a few more fall touches and an apple scented candle so it really screams fall. 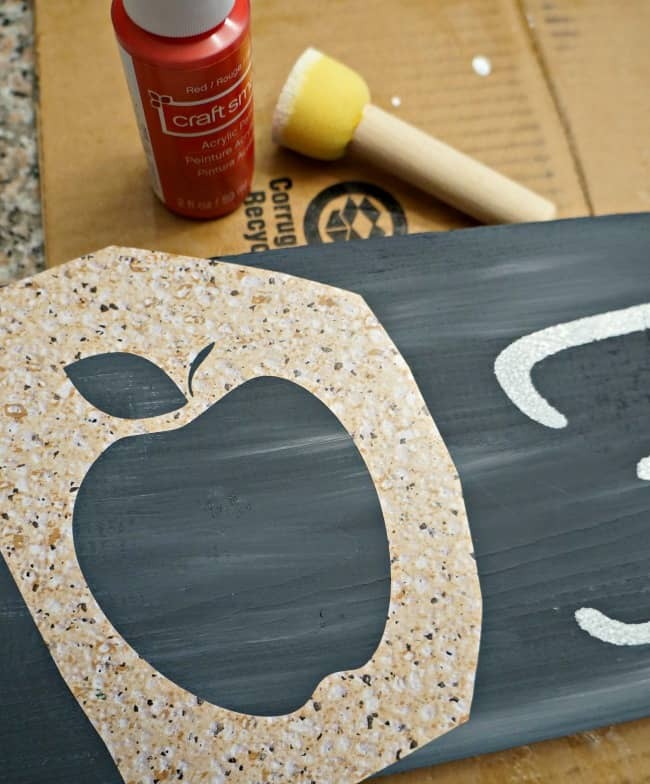 Do you decorate with apples? I’d love to hear about it.